Shopping for Call of Duty Action Figures? From the ever popular Call of Duty video game franchise comes these detailed collector action figures! 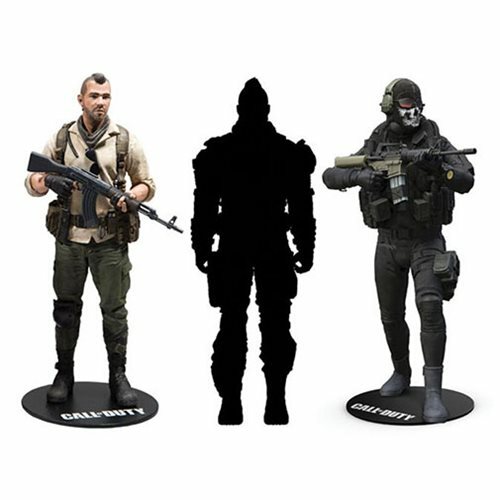 These highly detailed figures modeled after John "Soap" MacTavish, Simon "Ghost" Riley, and Donnie "Ruin" Walsh from Call of Duty. The figures feature in-game authentic weaponry and accessories, along with over 14 points of articulation for dynamic posing. Each figure comes in his iconic outfit worn in the video game and comes packaged in a collector blister card packaging. Ages 12 and up. Made in China.